Attention: Panther Ambassadors! We need you! Please make sure to sign up for Thursday’s, Feb. 7th for Parent Teacher Conference night. Please go to Room 151 to sign up. Panther ambassador meeting immediately after school on Thursday, February 7th. Chess Club is meeting this Friday after school instead of Thursday because of Parent Teacher conferences. We will meet from 3-4:30 in Mr. Byerly’s room, 108. Bring $5 for pizza if you want to eat. FCA will meet this Friday, February 8th. We meet in Mr. Byerly’s room, 108, from 7:15 to 7:45. Come eat some doughnuts, drink some juice, play some games and learn some cool life stuff. Hope to see you there!! See Mr. Byerly, Miss Litt or Mr. Stepp with any questions! 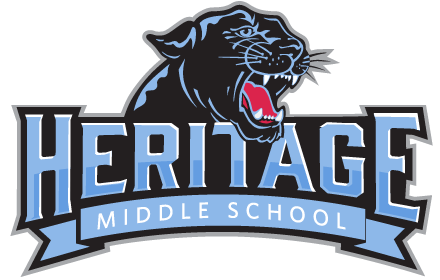 Attention Class of 2024: Please remember that you and your parents are invited to 8th grade Registration Parent Night at 7:00 p.m. in the cafeteria on Monday, February 11th. We also will meet together in the library via social studies classes on February 11th and the 12th to kick off your selections of exciting courses. The scheduling window closes Feb. 23rd! DODGEBALL TOURNAMENT Information and Packets are available in the Main office. Start planning your teams, find your teammates and come for some fun and competition at our PTO Dodgeball Social on February 22nd.